When Robert Andrew Millikan arrived in Pasadena, California, in 1921, he was already the revered author of physics textbooks used across the country. He counted among his scientific accomplishments the measurement of the charge of the electron, the verification of Albert Einstein’s photoelectric equations, and the numerical determination of Planck’s constant h. For all this work, he would win a Nobel Prize in 1923. With the exception of Einstein, no scientist was better known to Americans. Millikan came to the California Institute of Technology to be the director of the Norman Bridges physics laboratory and the school’s de facto (but not officially titled) president. With access to the lion’s share of the schools financial resources and minimal administrative duties, Millikan’s goal was to transform a middling engineering college into an institution that emphasized pure science. 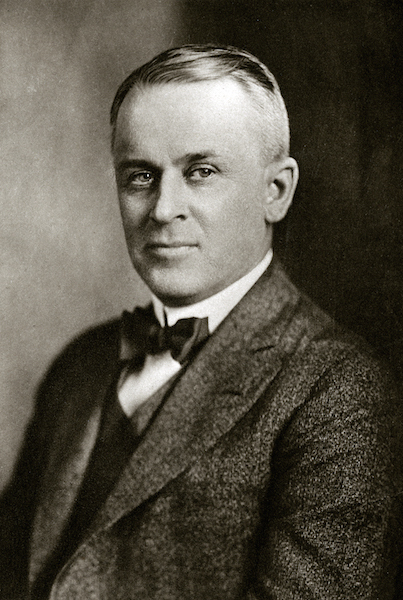 Millikan believed that the modern world was basically a scientific invention, and that America’s future rested on promoting basic science and its applications. Caltech, in his view, existed to provide America’s scientific leadership, and to “put physics on the map of Southern California,” as he once explained. Millikan’s ambition over the next 25 years transformed not only Caltech, but also Southern California’s place in the world. Between 1920 and 1930, more than one million people flocked to this region. The population explosion created boom times for bankers and businessmen. Building speculation flourished; interest rates soared; and new real estate subdivisions dotted the landscape. Economically, the region prospered as never before. Southern California was also awash in students. By the mid-1920s, the region boasted more than 12,000 students in private colleges and universities. Another 6,500 college students were attending the new southern branch of the University of California (what we now call UCLA). However, no other southland school, private or public, could match Caltech’s strength in the fields of physics, chemistry, or engineering. Until 1925, the institute conferred doctorates in only those three subjects. Millikan expanded its scientific reach, and in the process elevated the region’s horizons. Geology joined the list of graduate studies in 1926, aeronautics in 1926, biology and mathematics in 1928. By then, Caltech had 500 undergraduates, 60 graduate students in physics, 20 in chemistry, and four in electrical engineering. By the 1930s, it had luminaries such as Linus Pauling in chemistry, Thomas Hunt Morgan in biology, and Millikan himself in physics. Einstein’s visits to the campus in the early years of that decade capped Millikan’s campaign to make Caltech one of the physics capitals of the world. Among Millikan’s stars of science was one that literally boosted Caltech—and with it, America—into the stars. Building on the work of aircraft design pioneers such as Arthur E. Raymond, Theodore von Kármán rallied students and coworkers to attack a host of theoretical problems that revolutionized our understanding of aerodynamics and rockets. One of his most important works was a 10-foot wind tunnel designed to his specifications at the Guggenheim Laboratory. It was a bridge between the scientific world and one of Southern California’s biggest industries. Half of its time was budgeted for research problems and the other half was for testing new airplane designs for manufacturers. In fact, it tested practically all the aircraft built by the companies on the West Coast during the 1930s, including the Douglas Company’s DC-3 series, the most successful commercial aircraft of the time. Many of Caltech’s outstanding students ended up in leadership roles at these companies. 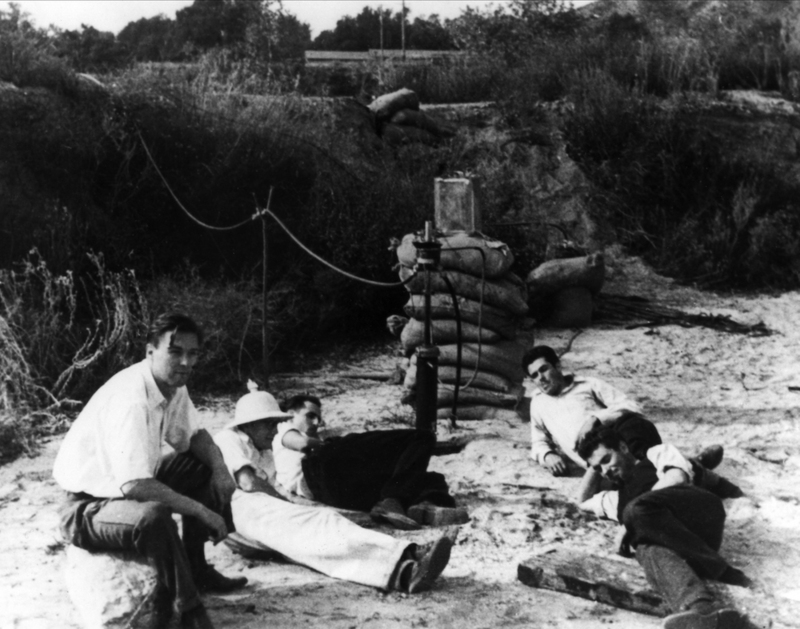 Van Kármán, his graduate students, and some local amateurs were responsible for the creation of the Jet Propulsion Laboratory, a division of Caltech to this day. When their work rattled too many windows on campus, they were sent out into the arroyo, where they could experiment with high-altitude sounding rockets to their heart’s content. The project grew, and with Millikan’s blessings, the Army Air Corps assumed direct control of the rocket project in 1940. The lab’s solid-propellant rocket engines were developed, tested, and delivered into the hands of the Navy for use in the Pacific three years later. In late 1958, it became one of the core centers of the newly created civilian space agency NASA, and began a new career as the heart of America’s unmanned space program. JPL provided America’s answer to the Russians’ launch of Sputnik, the first man-made object sent into orbit around Earth, in 1958 in the form of a satellite called Explorer 1. Data from Explorer 1—and later Explorer 3—led to the discovery of the belt of radiation around Earth known as the Van Allen radiation belts. A host of lunar and planetary spacecraft firsts from JPL followed in rapid succession, including the first close-up views of the moon from the Ranger spacecraft, the first close-up views of Venus, Mars, and Mercury from the Mariner spacecraft, the first lander on Mars with the Viking mission, and the first close-up views of the mysterious outer solar system planets Jupiter, Saturn, Uranus, and Neptune by Voyager 1 and 2. These days, NASA’s Mars rover, Curiosity, which JPL designed and built, is slowly scaling the slopes of the planet’s Mount Sharp, and sending back myriad breathtakingly beautiful images of the barren landscape. Photo was taken in Washington D.C. Photo by Harris and Ewing. Meanwhile, Millikan also sought to use Caltech’s prowess in rockets to help the country during World War II. Three months before the Japanese attacked Pearl Harbor and America entered the war, the first contract for defense work on rockets in Southern California began at Caltech’s Kellogg Radiation Laboratory. From a modest government contract of $200,000 in 1941, Caltech’s rocket project grew into an $80 million dollar war industry. In 1944, at the height of the project, Caltech was spending more on rockets than its entire annual budget before the war. In fact, until the last year of the war, every rocket fired by the navy was manufactured in Pasadena. When the war ended, the whole rocket project was quietly put to rest. Millikan’s Caltech also became the epicenter of earthquake science. It started with an interest in addressing the “California problem,” as the American seismological community of that era thought earthquakes were confined to this region. Millikan brought in Harry Oscar Wood, a mineralogist trained at Berkeley, who had lived through the 1906 San Francisco quake and dreamed of building a network of special instruments throughout the Southland that would scientifically measure and record the shaking ground. Working at Caltech with astronomer John Anderson, Wood designed a reliable, short-period, portable instrument that, when placed vertically, consistently recorded the east-west and north-south components of the Earth’s motions during an earthquake. The Wood-Anderson torsion seismometer was sensitive enough to record shocks having a period varying from 0.5 to 2.0 seconds. He set out his network of instruments, and waited for the shaking to begin. Then, in 1923, a funny thing happened. The Wood-Anderson seismograph unexpectedly recorded the rumbling of a distant earthquake, one from far across the planet. Wood had unwittingly altered the course of his own program. Seismology was a worldwide science, and Caltech, with Harry Wood’s network of instruments in place, started accumulating records of earthquakes around the Earth. Soon the Caltech Seismo Lab had a welter of confusing earthquake records. Enter Charles Francis Richter, probably the most famous name in the history of seismology. Richter came to Caltech as a grad student in theoretical physics because he had heard Millikan give a lecture. To support himself, he got a job sorting out the growing mountain of earthquake data in Wood’s lab. Richter found he could classify little quakes and big ones, near ones and far ones, on a scale that ranked earthquakes in factors of 10. “If there was anything you call an actual discovery that came out of that scale,” he later said, “it was that the biggest earthquakes are ever so much bigger than the little ones.” The world-famous Richter scale grew out of Woods’ vision of a Southern California earthquake network. Of course, for all of his progressive thinking on the topic of science, Millikan’s social views seem to us today narrow, like those held by many men of his time. He didn’t understand the role that women could play in science—Caltech was open only to men on his watch. And he believed that Southern California and Caltech’s ability to solve scientific and technological problems stemmed from “the genius of the Anglo-Saxon race” (as he once called it) and its dominance in the region. Boy, would he be surprised today by women such as Fiona Harrison, an astronomy and physics professor who is the principal investigator of NASA’s Nuclear Spectroscopic Telescope Array (NuSTAR) mission, and the number of professors from around the world that flock to Caltech who have made great discoveries here, from Dutch astronomer Maarten Schmidt, who discovered quasars in 1963, to Egyptian scientist Ahmed Zewail, who received the Nobel Prize in chemistry in 1999. But nevertheless, Millikan had expanded Caltech’s horizons by the time he turned over the reins to the next president of Caltech in 1946: Then, as now, the school is “small in numbers, gigantic in quality and in influence,” as Caltech President Harold Brown said in 1991. Caltech created larger entities out of itself—like JPL—that applied technology on a grand, California-sized scale. Aspirations can be powerful; Millikan’s still define our region. Judith Goodstein served as Caltech’s archivist for 41 years.This essay is part of Is L.A. Still a City of Big Dreams?, a project of Zócalo Public Square. *Photos courtesy of The Caltech Archives.